2018 was an eventful year for C-Trade. 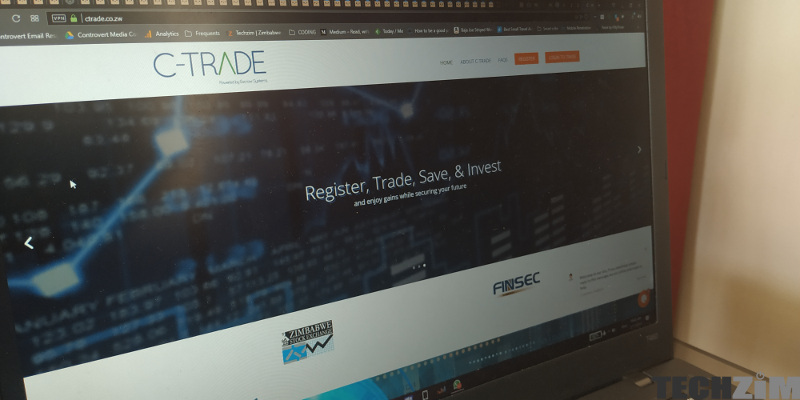 C-Trade was launched to much fanfare and having become the first online platform for share trading, C-Trade quickly rose to prominence with over 2000 traders opening accounts in the first fortnight. This is a significant number in that since dollarisation only 7 500 investors had opened accounts. We recently got in touch with C-Trade to figure out what other milestones they reached last year and whether they have any big plans for this year. TZ: 2018 was obviously a phenomenal year for C-TRADE, you guys launched your service and it seemed to pick up quite some traction. What impact did you guys have? C-Trade: Indeed 2018 will remain a very important year, not only to Escrow Systems but for the whole capital market eco-system as C-TRADE has altered how investors and capital market participants perceive and interact with the stock market. Buying and selling of shares though previously a reserve of the few has now been made possible for all Zimbabweans in and outside the country. TZ: Did C-TRADE manage to achieve any other interesting milestones in 2018, that you guys would like to share with the public? C-Trade: Over 10 000 retail investors have created trading accounts. 89 percent of these registrants are first-time investors. These figures show a significant uptake comparable to the approximately 7 500 active investors accrued since dollarisation. Moreso, the C-TRADE concept has not only impressed the local market but we have been getting interesting proposals from countries within the region and beyond. It is quite interesting that we are technology from Africa to the world. TZ: Towards the end of 2018, SECZ opened a public survey inviting interested parties to critique C-TRADE. Are we going to see any changes to your platform as a result of this survey? If yes, can you share these changes? C-Trade: The survey has been an eye opener and allowed us to look at the platform from a user’s perspective. Hence, we are implementing some enhancements to the platform owing to the suggestions and feedback. These enhancements will be rolled out with the release of new and improved versions. TZ: 2019 has come around, what interesting things do you guys have in store for both your existing users and potential users? C-Trade: We are picking up from where we left off in 2018 as we further push the technology boundaries with products that will not only make it easy for investors to access capital markets but for those who want to raise capital to have equal access as we continue on a drive to lubricate our capital markets.